In a blunder reeking of the fallout caused by supplying Stinger anti-aircraft missiles to 1980s mujahideen in Afghanistan, civilian airline passengers are now under threat from Syrian jihadists armed with portable surface-to-air missiles (MANPADS). Reports say some American-backed jihadi groups are being equipped with US-made MANPADS. Indications are they’re obtaining these advanced weapons either directly or indirectly from the US or its Mideast allies in connection with a recent escalation in the fighting in Syria. On April 2, fighting broke out between western-backed al-Qaeda affiliates and the Syrian army, ending the Syrian ceasefire. The groups that broke the ceasefire included al-Qaeda in Syria (al-Nusra), the Chinese Uyghur Turkistan Islamic Party (TIP), The Levant Brigade, the Freemen of Syria (Ahrar ash-Sham), Division 13, and other jihadi groups. According to AP, the US-trained and armed Division 13 is now fighting alongside al-Nusra and Ahrar al-Sham. The latter two are part of the Turkey/Saudi/Qatar-backed Army of Conquest. Dr Lin quotes a Saudi official as saying (in Germany’s Spiegel), «We believe that introducing surface-to-air missiles in Syria is going to change the balance of power on the ground… just like surface-to-air missiles in Afghanistan were able to change the balance of power there». He was referring there to this in 1979, where Obama’s friend Zbigniew Brzezinski explained why the Americans and the Saudis were supplying SAMs to the mujahideen who became al-Qaeda, and he was also referring to this in 1998, where Brzezinski, when asked whether he thought that arming those fundamentalist Sunnis had been a mistake, said that it certainly was not. Obama is continuing in that vein. Brzezinski still was talking there as if Russia equals the USSR, equals «the enemy». Obama acts from that same viewpoint – the viewpoint that will end either in WW III, or in Russia’s capitulation to the US aristocracy. In their view, the end of communism, and the end of the Soviet Union, and the end of the Soviets’ Warsaw Pact (which was their counterpart to America’s NATO alliance), made and make no difference, and Syria should be ruled by jihadist groups, because its current government is allied with Russia, and Russia always tries to kill jihadists, never allies with them (as the US does). Obama overthrew the Russia-friendly government of Ukraine and replaced it with an anti-Russian government; he also led the NATO bombing campaign that overthrew the Russia-friendly leader of Libya, Muammar Gaddafi; and he has since been trying to do the same thing in Syria, to Assad. Now, if it turns out that al-Qaeda affiliates in Syria are indeed armed with MANPADS, it would amount to what former CIA director David Petraeus called ‘our worst nightmare’. The missile would do far more than improve terrorist groups’ military capabilities to conduct future attacks. A 2005 RAND study also concluded that Jihadists shooting down a civilian airliner would put a temporary freeze on worldwide air travel, causing a $15 billion loss to the world economy. More than a decade after this study, the present-day economic loss would be substantially higher than $15 billion. 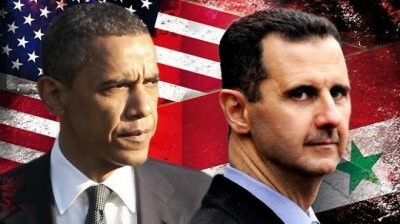 Dr Lin’s calling this a «blunder» from Obama is based upon an assumption that Obama isn’t aware of the harms that he’s causing by what he’s doing; but, on the same day, a report, including shocking documentation from Jane’s (the specialist site about military matters), makes clear that Obama is determined to overthrow Assad no matter what the consequences. One ship with nearly one thousand tons of weapons and ammo left Constanta in Romania on December 5. The weapons are from Bulgaria, Croatia and Romania. It sailed to Agalar in Turkey which has a military pier and then to Aqaba in Jordan. Another ship with more than two-thousand tons of weapons and ammo left in late March, followed the same route and was last recorded on its way to Aqaba on April 4. US and Turkey supported ‘rebels’ took part in the recent attack on Tal al-Eis against Syrian government forces which was launched with three suicide bombs by al-Qaeda in Syria. This was an indisputable breaking of the ceasefire agreement between Russia and the US. It is very likely that some of the weapons and ammunition the US delivered in December were used in this attack. Consequently, Obama is clearly determined to supply weapons to the jihadists until they win. This is no «blunder». It’s a determination to beat Putin, no matter what. It has consequences not only for the US and for Russia, but for the countries that America invades or whose governments America overthrows. Here are those consequences. The «2016 Global Emotions Report» by Gallup, surveying over a thousand people in each one of 140 different nations, found that, by far, the people in Syria had «the lowest positive experiences worldwide», the people there were far more miserable than in any other nation. The score was 36 (on a scale to 100). Second and third worst were tied at 51: Turkey because of the tightening dictatorship there as Turkey has become one of Obama’s key allies in toppling Assad; Nepal, on account of the earthquake. Then tied at 54, were three countries, the fourth, fifth, and sixth, most-miserable places to live: Georgia, which still hasn’t recovered from the US-backed wars against Abkhazia and South Ossetia, where the majority want to be part of Russia; Serbia, where the majority are opposed to the government’s move to enter NATO; and Iraq, which still hasn’t recovered from Bush’s 2003 invasion. Then tied at 55, are five countries, the seventh-through-eleventh-most-miserable nations: Yemen, where America’s ally the Sauds are dropping American bombs onto Shiite neighborhoods; Bosnia and Herzegovina, which still hasn’t recovered from the civil war and the US bombing; Lithuania, which became impoverished by IMF-imposition of economic austerity, which has prevented economic recovery; Belarus, which will probably be the last country in the world to break away from Marxism; and, finally, the 11th-worst, Ukraine, which prior to the US coup, was less miserable than 29 countries and had a score of 60, which was 5 points higher than today’s – Obama’s coup there has definitely immiserated the Ukrainian people (not to mention displaced millions and slaughtered thousands by the ethnic-cleansing campaign against residents of the former Donbass region of Ukraine). America’s willingness to apply force around the world is the ultimate safeguard against chaos, and America’s failure to act in the face of Syrian brutality or Russian provocations not only violates our conscience, but invites escalating aggression in the future… In Ukraine, Russia’s recent actions recall the days when Soviet tanks rolled into Eastern Europe. But this isn’t the Cold War. Our ability to shape world opinion helped isolate Russia right away. Because of American leadership, the world immediately condemned Russian actions; Europe and the G7 joined us to impose sanctions; NATO reinforced our commitment to Eastern European allies; the IMF is helping to stabilize Ukraine’s economy; OSCE monitors brought the eyes of the world to unstable parts of Ukraine. And this mobilization of world opinion and international institutions served as a counterweight to Russian propaganda and Russian troops on the border and armed militias in ski masks. Those «armed militias in ski masks», incidentally, were US-CIA-hired mercenaries. He had to know that; he simply lied.